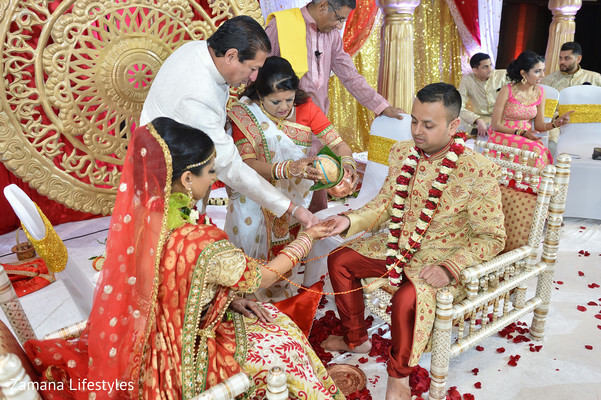 This vibrant Indian wedding of Bhavika and Shayar was jam-packed with action, with every moment lovingly captured by Zamana Lifestyles. 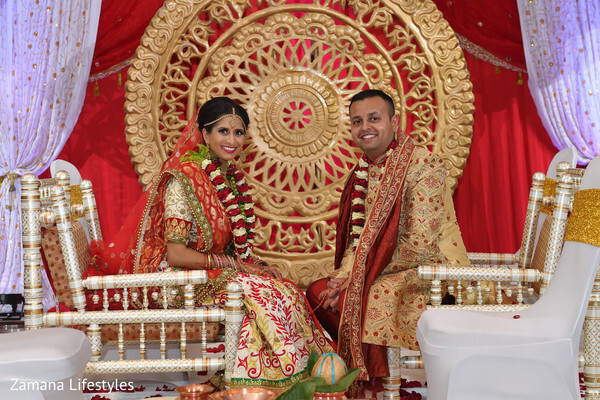 Elegance Décor and One Fine Party helmed the decor and design duties, and seamlessly executed glittering ambiance for the numerous events. 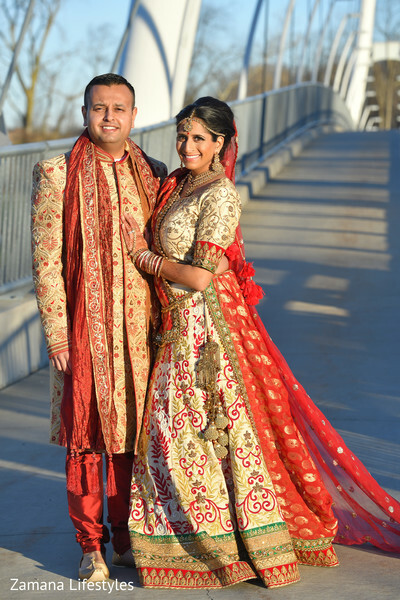 The ceremony day began with a bang, with Bhavika and Shayar posing for some classic portraits in the Indiana sunshine. 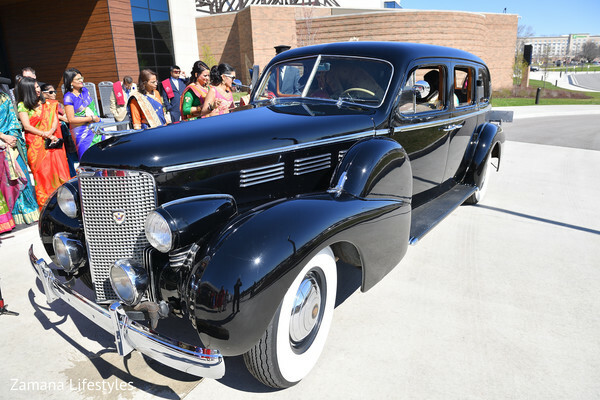 Shayar couldn’t have made a cooler entrance in sleek vintage wheels by Antique Limousine of Indianapolis. 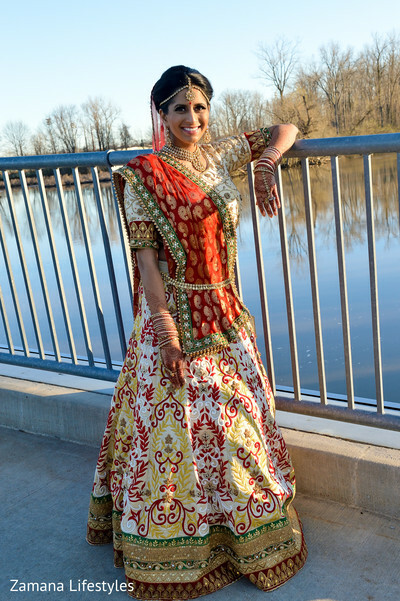 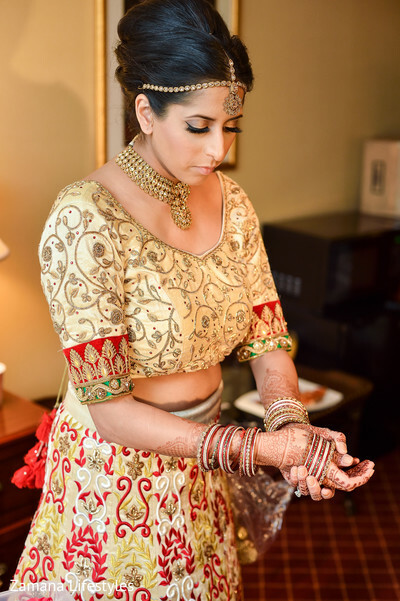 Meanwhile, the beautiful bride was primped and polished to perfection with hair and makeup by Blush Beauty by Nadia and a vibrant red and cream lehenga. 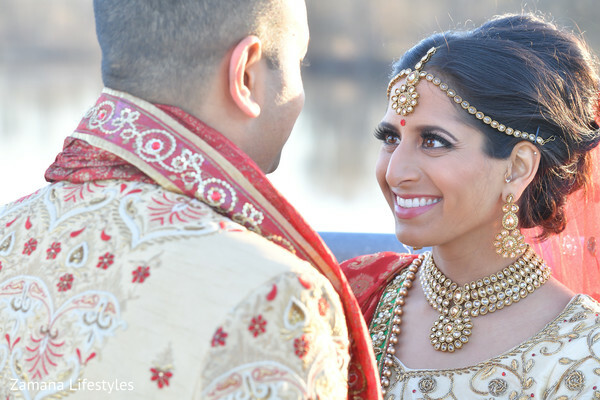 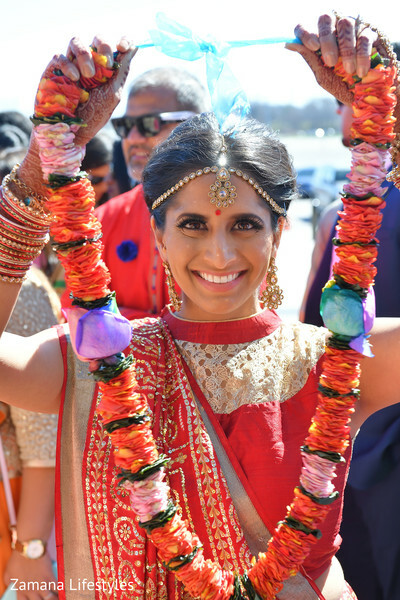 The natural light outside lit the bride and groom perfectly, and once they entered the twinkling ceremony space, they began their traditional Indian rituals in a ceremony that was meaningful and went off without a hitch! 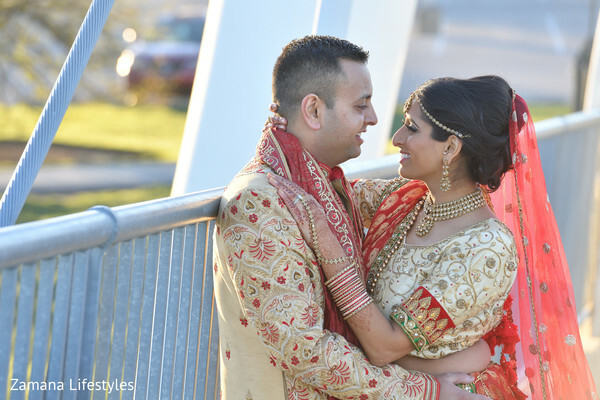 Afterwards, the quick on their feet newlyweds couldn’t wait to get the party started. 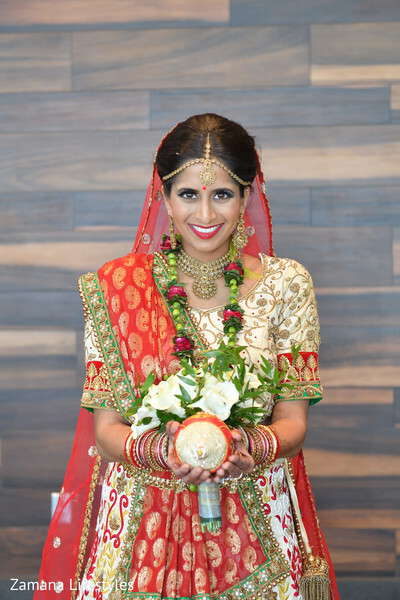 Next, we’ll dive into Bhavika and Shayar’s elegant reception, featuring a gilded wall of roses, oodles of candles, and infectious sounds by DJ Mavi Productions. 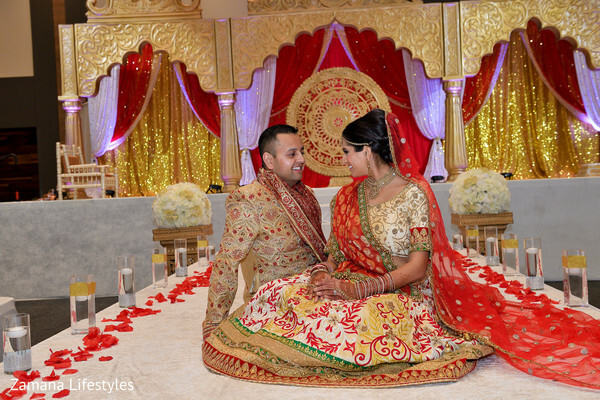 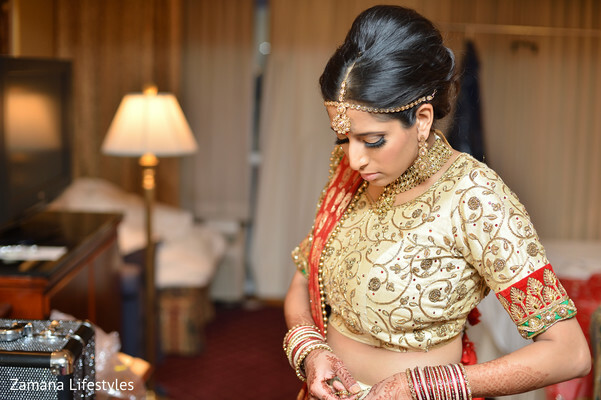 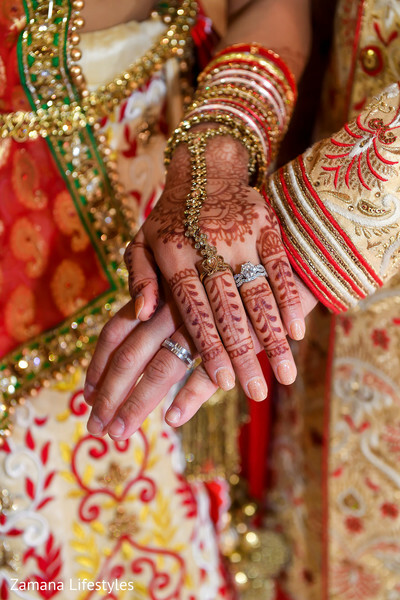 While you wait, peruse the full gallery by Zamana Lifestyles for all the magical moments.